If you are interested in buying a park home in a GoldShield-registered park or already live in one, you should make sure that you understand what a GoldShield warranty offers. Your warranty is the best way to protect your finances if your home suffers from any inherent structural problems over the years. To find out more about what our warranty covers and how it works, read the FAQs below, or get in touch with our friendly team. A GoldShield warranty is a guarantee that protects you from financial loss should your park home suffer any inherent structural defects in the first ten years. This agreement will cover the repair or replacement costs to rectify the fault. It also covers the damage caused to your park home as a result of any defect. This cover helps to protect your investment, making sure you don't need to spend extra money on unexpected repairs. The warranty itself is paid for by the park home manufacturer, so once you've bought your home there's no extra cost. Unless the site owner is going to register your park home for you, you'll simply need to register as the owner with us within 90 days of purchasing your park home. Your GoldShield warranty is provided and administered on behalf of your home manufacturer and the NCC, the park home trade body. What is the difference between park home insurance and a warranty? The major difference between park home insurance and your warranty lies in what is covered. A warranty covers any inherent structural defects of the home, which are faults that are present but not known at the time of purchase. Your warranty provides repair or replacement for these faults, as well as any damage to your home caused as a result. On the other hand, insurance protects your park home and its contents from accidental damage, often caused by events like storms, floods, fires, theft, or water leakage. Your warranty doesn't cover accidental damage, only those caused by a defect with the structure, so it's important to have both to ensure you are fully protected. What does my GoldShield warranty cover? PVCu frames/PVCu external doors (for 10 years, glazing units for 5 years only) including the seals within these unit, but not those surrounding them. How long does my Goldshield warranty last? Your park home will be protected through two warranty periods: an Initial Period and a Continuing Warranty Period, which span a total of ten years. The Initial Period lasts either two years from the date of purchase or three years from the date of manufacture (whichever ends earliest). In this time, you're covered by the manufacturer's warranties, which include the structure of your park home, as well as its fixtures and fittings. You will need to refer to the manufacturer if your home suffers a fault during this period, rather than GoldShield. Once your Initial Period has expired, you will move into the Continued Warranty Period. This lasts eight years, during which you will be covered for structural defects in your park home. Any faults during these years should be referred to GoldShield, not the manufacturer. What do I do when my GoldShield warranty expires? GoldShield covers your new park home for the first ten years of its life. It isn't possible to renew your warranty once it has expired, so cover for structural defects will not be available after this period. You can, however, continue with your GoldShield Care scheme, to ensure that your home remains in great condition once it's beyond the warranty. Where can I get copy of my GoldShield warranty wording? The warranty wording should be included in your new home, as the manufacturer will place a hard copy within each unit at the point of manufacture. If a copy is not with the home then you should contact the manufacturer and request one, or come to the GoldShield website where you can find a downloadable and printable copy of the Warranty Scheme Booklet, as well as copies of all essential forms: Claim Form, Transfer of Ownership Form and application form. How do I register my GoldShield warranty? Depending on where you decide to site your property, the park owner might register your park home for you. It's important that you speak to them about this, so you have a clear idea of whether the responsibility falls to you. If you learn that you do have to register your warranty yourself, you need to let us know that you are the new owner within 90 days of moving in. You can do this by filling in and sending us a Home Owner's Application Form that you should receive as part of your pack, though you can also download and print a copy from our website. We also have an online application form that you can complete. You will need to provide us with proof of your purchase. Please refer to section 3 of our Warranty Scheme Booklet for more information about registering. I bought my home over 90 days ago. Can I still register my home? It's worth noting that we offer a 5-year amnesty for park owners who wish to register the park homes that have been on their site for 5 years or less. So, if you've owned your park home for over a year and your warranty still hasn't been registered, you could speak to the owner of your site about this. Can I register a used park home for a GoldShield warranty? You will receive a new Registration Certificate and take over the annual maintenance obligations (see the next question). If my park is not GoldShield-registered, can I register my home? No, a park must be a GoldShield-registered park before any of the homes on the site can be considered for warranty coverage. To check, you can find full registered park listings on our website or get in touch. If my park is GoldShield-registered, can I register for a warranty? If your new home is on a GoldShield-registered park, you can register for a warranty if your home's manufacturer is a member of the GoldShield scheme and you are applying within 12 months of the first purchase date. Homes made by manufacturers who aren't registered members aren't eligible for GoldShield cover. Contact your manufacturer to see if they are GoldShield registered. During the ten years your park home is covered by GoldShield, you will have a responsibility to maintain your park home so that is meets the requirements of the warranty. This is to make sure that any faults that develop have not been caused by neglect of maintenance to the structure. You can get more details on these obligations in our Warranty Scheme Booklet. We also have a guide on how you can maintain your park home. As the cost of maintaining your park home can add up, as well as taking a lot of your time, we have a GoldShield Care scheme that you can subscribe to that will handle of all your home's essential needs. For a monthly fee, you can ensure that your home is well kept and able to meet all of your warranty's obligations. Not only that, but with our service you can easily budget for your annual maintenance costs without having to worry about any unforeseen issues. Our guide 'Do I need GoldShield Care?' can help you decide if this service is something that's right for you. Where can I find recommended paint products for my park home? 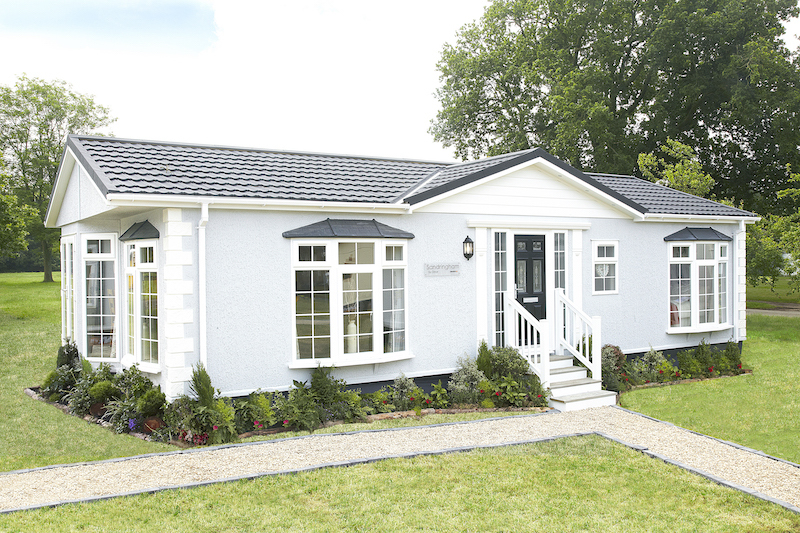 Your park home manufacturer will have their own recommendations for paint and colour wash. Typically, these specialist products cannot be purchased off the shelf from your local store, and need to be sourced from the manufacturer themselves. If in doubt, please contact your manufacturer for their recommendations, as using an inadequate paint or colour wash could cause a problem in the event of a claim. Yes, however, any faults that result from the modification will not be covered. For example, water ingress from the installation of external brackets for hanging baskets, aerials, satellites, and so on. You can find full details of what is not covered by the warranty in section 4.7 of the GoldShield Warranty Scheme Booklet. How do I make a claim under during the Initial Warranty Period? You will need to refer to your park home manufacturer if your park home suffers from an inherent defect in this first period of cover. As we've mentioned, your home is protected by the manufacturer's warranties for the first two years or so, and you'll need to check their documentation to find their process for making a claim. How do I make a claim under during the Continuing Warranty Period? If you want to make a claim under your warranty during the Continuing Warranty Period, you need to get in contact with our office on 0191 258 8124 within seven days of the problem arising. You may need to complete a Warranty Claim form with extra details of the issue to help us assess your claim more accurately. We have an online form you can submit, a printable form you can send us, or we can post out a hard copy for your to return. You may also need to include photographs, diagrams, and specific details of the problem so that we have full information. You should refer any claims concerning UPVC door and window frames to your home's manufacturer so they can liaise with their suppliers. Once we've received your claim, we will try to get back to you within 14 working days. Depending on the nature of the claim, we may need to organise a physical inspection, which will be arranged at a convenient time. We will then let you know if the warrantor accepts liability and, if so, who will be carrying out the repairs. If necessary, we may arrange for emergency repairs to be carried out quickly, before a decision on the claim has been reached. If the claim is not accepted, a bill will be issued to you for the work. Each claim is addressed on a case-by-case basis, so the timescales for a decision and any work being carried out can vary as a result. Is the GoldShield warranty transferrable if I wish to sell my park home? Should you decide to sell your park home within the ten years of your GoldShield warranty, we will likely be able to transfer your cover to the next occupant. To do so, you need to give your Warranty Scheme Booklet, proof of maintenance invoices, and the Home Owner’s Registration Certificate to the new owner. They can then give us a call on 0191 258 8124, and we will send them a Change of Ownership Form (download and print a copy here) to be returned. There will be a £50 administration charge to register payable by the new owner, who will then be issued with a new Home Owner’s Registration Certificate. The obligations that come with the warranty will also be transferred to the park home's new resident. What is my park home's serial number and where can I find it? The serial number is the unique number given to your park home by the manufacturer and can be found on your invoice or usually on a plaque near the front door of the home. This information helps to identify your home apart from other similar models and may be used to refer to it elsewhere. We hope this guide has helped you understand what your GoldShield warranty is and how it works. If you have further questions about the warranty or our care schemes, please don't hesitate to get in touch if your query has not been answered.